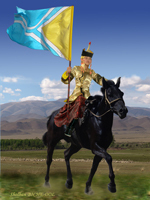 There is a new electronic resource – scientific informational journal “New Research on Tuva” (http://www.tuva.asia/) This project of a group of the leading researchers of Tuva will enable a wide audience to find out about the latest achievements and findings of research on Tuva, and in its turn- to enrich the findings about Tuva. It will help to organize a dialogue of the scientists of various regions and schools of thought, as well as of different generations. This resource will be useful to scientists and savants, graduate students, students, and anybody who is interested in science and relevant problems of social development of Tuva. Famous traveler Fedor Konyukhov, who was hospitalized on June 11 after suffering a tick bite, was discharged from the infectious disease hospital in Tuva, as the Kyzyl hospital announced. Currently he is undergoing a course of rehabilitation in the capital of Tuva, and soon he will be able to re-join the international expedition, which started on May 13 from Ulan-Bator. Today, rescuers are searching again the area Sukhoy Log in the Tandy kozhuun of Tuva, where a 69-year-old woman from the village Vladimirovka, Yelena Syurkova, disappeared on June 6. The woman went with her friends to pick berries, but never returned from the taiga. At first, only her relatives started a search, but later local people got involved, then rescue workers and the militia. Sut-Khol kozhuun, which won the right to host the republic Naadym-2009, based on the results of socio-economic development, is getting ready to welcome quests. The regional center is being put in order and the stadium is being renovated. 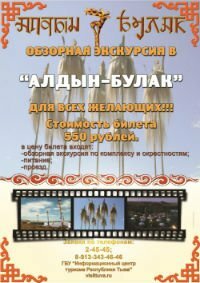 The best animal herders of Tuva will gather in Sut-Aksy on June 30-31. “The main idea of Naadym is to honor the workers of the villages, who by their daily work secure the basic necessities of life for us, - says the vice-premier Valentin Yendan, who heads the organization committee for the Naadym preparations. Unforeseen circumstances, which brought the famous traveler Fedor Konyukhov to Tuva, became a basis for a press-conference, which took place on June 16 in the Government House. Vice-Premier of the Government of Republic Tuva Anatolii Damba-Khuurak, minister of health protection of the republic, Aleksandr Oorzhak, and a representative of the government of Kalmykia, the curator of the project “Along the Great Silk Road”, writer and savant Vasilii Tserenov met with local journalists to answer their questions. 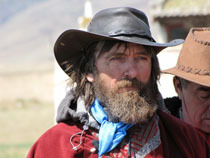 Tuvan physicians believe that Fedor Konyukhov’s deterioration of health was caused by tick-bite rickettsiasis. 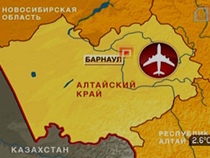 On June 11, because of acute deterioration of his health, the famous traveler was met by a team of Tuvan health workers at the border-crossing point in Khandagaity, and transported to the infectious disease hospital in Kyzyl, where he is now receiving medical help. on May 13 in Ulan-Bator, because of illness. He felt the first symptoms of illness on June 3. On June 9, after an acute deterioration of his health status he turned for medical help to the hospital in Ulangom, the administrative center of Uvs-Nuur aimak of Mongolia. However, the system of health care of the aimak turned out not to be prepared to handle the diagnostic procedures. The hospital did not have even the most basic requirements - light and necessary medications.